I will always be grateful to whoever taught me that problems are more easily met when one considers them as challenges or opportunities. That spirit exists in a number of rural and remote parts of our church. Each of our synods readily identified some of those situations; more people and places, in fact, than we could fit into one article. The challenges that most congregations struggle with, such as declining attendance and shrinking resources, are magnified by the realities of the changes that are shaping the places where their ministries exist. It is encouraging that some are determined to meet those challenges in creative and innovative ways. Occasionally I lead worship in some of those congregations. When I do, the conversation with members often turns to concerns about their future as a congregation. I don’t have any ready answers but I do have some questions that I hope help some of them to seek their answers. When they’ve thought deeply about that, I believe they will discover what is worth preserving and that the Holy Spirit will also help them find some of the answers they are seeking. You may not remember Hagar’s story. She reminds us how much God cares about those in desperate situations when all hope seems lost, p. 31. 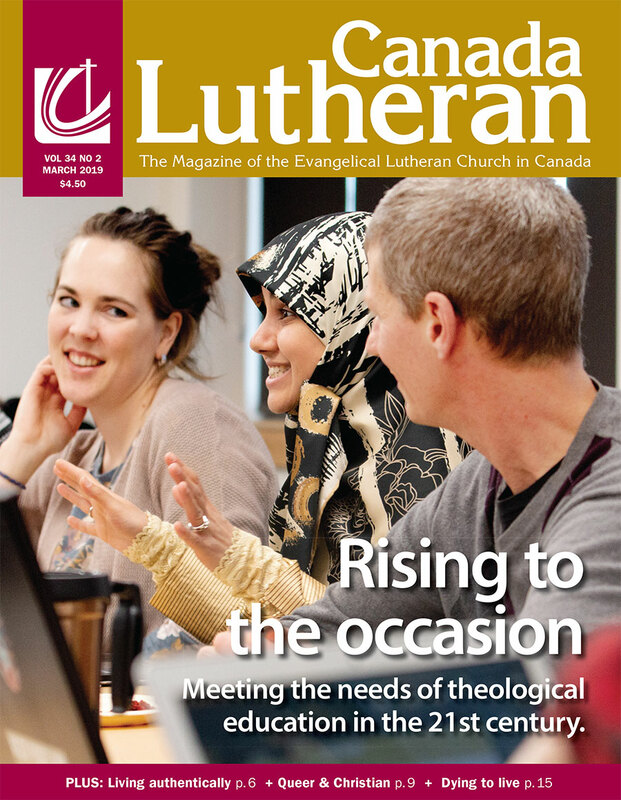 Ministry at Edberg Lutheran is another story about one of those active and alive rural congregations, p. 20. Learn why Vivian Roberts, our longest-serving female clergy, has spent most of her ministry in rural areas and small towns, p 6. When people from the seven regions of The Lutheran World Federation live, worship and explore historic sites together, cultural differences are better understood and deep friendships are formed, p. 19.